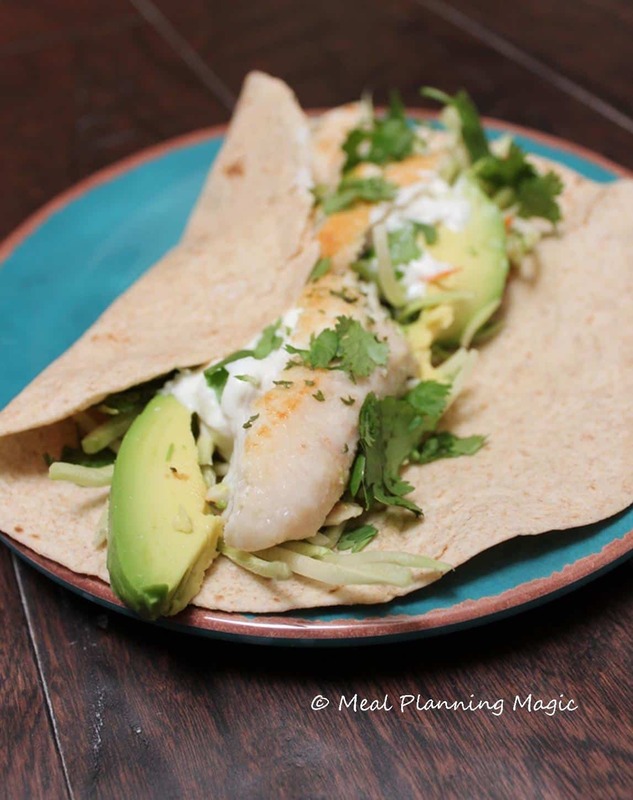 The beauty of fish tacos is that you can total customize them to the flavors that your family likes. I used to use a breaded fish filet but when I started just pan-frying this version, I found it was just as delicious and a little better for us. I do still like those breaded fish filets though every once in awhile! From the beginning, I’ve been serving ours with broccoli slaw. Found near the packaged coleslaw mixes, it’s just what it sounds like—shredded broccoli with some carrots and cabbage thrown in. What I love about it is that 1) my family loves it as much or more than regular coleslaw and 2) it’s packed with lots of nutritents! Sprinkle season salt on tilapia filets. Saute’ tilapia in olive oil in until fish flakes easily—about 8-10 minutes, flipping once. Remove from heat. To assemble tacos, evenly distribute and layer ingredients on tortillas. Starting with fish, add broccoli slaw, yogurt, cilantro and avocado, if using. Squeeze lime juice over all just before serving. This recipe is part of the H-E-B Ready, Set, Cook Challenge. H-E-B is a Texas-based grocery store that wants to encourage families to eat together more often as they try healthy (and family friendly) recipes. The Ready, Set, Cook Challenge challenges customers to track their recipes at home to accumulate points. If you collect enough points to complete the challenge, you’ll be entered to win free groceries for a year plus other great prizes like gift cards ranging from $25 to $1,000! Life is meant to be shared with the ones you love. Not only has family time been shown to be critical for childhood development but it also helps our well being as adults. Being with our family gives us a sense of belonging, creates traditions that are carried on for generations and fosters a trusting environment. In addition to the chance to win free groceries by participating in the Ready, Set, Cook Challenge, I and H-E-B are also giving away a $25 gift card to ONE lucky reader here! 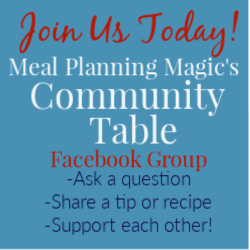 Leave a comment with your favorite healthy and family meal idea(s)–does not need to be a recipe, just an idea. Only one entry per reader. Good luck! Giveaway ends Monday, April 23, 2012 (extended!) at 11:59 (CST). THIS GIVEAWAY IS NOW CLOSED. Congratulations to Bobbie who is the winner! Winner will be chosen via random.org and will have 48 hours to claim their prize. If prize is not claimed a new winner will be chosen. Winner will be posted on blog and if an email is given, they will be contacted via email. Open to US residents only. Don’t forget to sign up for the Ready, Set, Cook Challenge and start cooking up some new, healthy recipes of your own! Disclaimer: I have been compensated monetarily by H-E-B to develop this recipe and post about the contest. Heat a pan over medium heat. Add ground turkey and cook until brown. Divide and egg mixture evenly in to muffin cups. I like just about anything grilled. A little oil and spices, throw it on the grill….yum! Great recipe! I’ve never made fish tacos but I love making grilled shrimp skewers then using in tacos. My quick and healthy go to recipe is a green turkey chili. 2 cans white beans, 1 chopped onion, cumin, 1 pound ground turkey, 2 containers green salsa and water as needed. Cooks up in 20 minutes. Our favorite healthy meal is to break out the George Foreman grill. For some reason, my kids will eat anything that I cook on there! I love making a dish with pasta, diced tomatoes, fresh spinach, and turkey sausage, all mixed with a little mozzarella cheese. So yummy! One healthy meal I like to make is homemade marinara with carrots and celery blended in with whole wheat pasta and baked meatballs. Love it! I love making tilapia with a lemon butter sauce, wild rice and a fresh salad. It’s the perfect summer dinner! I buy chicken and it will be sprinkled with lemon juice, little bit of salt, and grilled on the George Foreman. or I sprinkle fajita seasoning cook it grilled with Pam in a pan on the stove. My kids love it when I make cinnamon apple pork chops!!! It’s super easy and the kids always ask for seconds and sometimes even thirds! I loved baked fish with steamed shrimp. Steamed broccoli and rice go great with it! ONe of my new favorite “healthier” things to make is cauliflower mash instead of mashed potatoes. I roast some of the cauliflower to put in after I puree it to give it a little extra texture and flavor. It is our new favorite. I also love to sub in ground turkey or chicken instead of beef in spaghetti sauce and I also try to add in a few more veggies into the sauce. I bake my meatballs instead of frying them. Then serve with a salad. I love making smashed sweet potatoes! I peel them, dice them, and boil them with a sprinkle of nutmeg & cinnamon. Then mash them up after they’re soft, add a tiny big of smart butter, some cinnamon, and a teaspoon of brown sugar. Taco Salad – I use baby spinach, brown rice, and ground chicken. SO GOOD!! 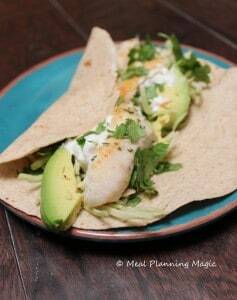 Wish my husband and son would eat fish so I could make fish tacos! We love stir-frys! And even if you only have a few basic sauce recipes, you can still have lots of variety by changing up the meat and veggie options. Our favorites are a basic brown Chinese sauce, a spicy Thai peanut sauce, and a pineapple sweet & sour sauce. The thing that helps our family eat the best is to really not use recipes. I know that sounds bad but we rely on simple preparation of meats with a side of a grain such as rice and then raw or lightly steamed vegetables. It keeps our oil and fat consumption low and in a healthy range, I think. We have not always eaten well but I am working on it. I’ve been substituting ground turkey for beef. I also bought the cookbook with recipes for sneaking vegetable puree into meals. I am always ope to more tips! Anything grilled with a side of roasted vegetables. Throw any veggies in a pan, drizzle with olive oil, toss in some herbs and roast!